This past weekend brought us the episode titled, “Dead Weight,” which once again gave us some more insight into the Governor and his life and gives us the moral of the entire episode. The Govie, Lilly, Tara, and Meghan have set up camp with Martinez and his gang and have settled in quite nicely, maybe too nicely. Life seems idyllic in this post-apocalyptic world, where they hang their clothes to try in between a trailer and an army tank and where the Governor teaches the little girl to play chess and answers her most burning questions. It seems as if the Governor has taken her in as his pseudo daughter, she asks him if she is “bad” because her dad left them. Of course she is not and he reassures her, but we see in him a sense of looking back at his own life. Did he have a difficult childhood? Or is he simply yearning to be the good father he once was? He sees Meghan, almost as his salvation from the “bad” person he knows he has become. Although being “bad” for him has his been his way to survive in the chaotic world he now resides in. It’s a means to an end. Martinez has been making it very clear to the Governor that had he not been with the women and little girl, he would not have allowed him into his camp. He continually tries to assert that he is now the one in charge. The Governor, Martinez, brothers Mitch and Pete, all go on a run for supplies. The entire time the Governor is trying to act passive and not asserting much of usual control. At one point they arrive at a deserted cabin, where walkers start coming out of the woodwork and attack Pete. 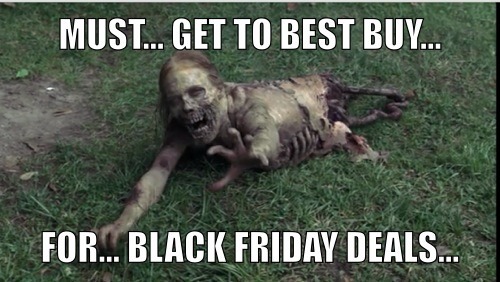 The Governor leaps in and saves him from being attacked and viciously kills off the zombies. To which the guys all look at each other, almost like who is this guy. He is the guy with the zombie-killing skills of a ninja, that’s who! At the cabin they find beer and take it back to the camp. The group enjoys a nice outdoor lunch and slug back some hot brews and whiskey. They all start to feel a little tipsy and their guard starts to come down a little, perfect timing for the Governor. He goes up with Martinez on top of the trailer to shoot off golf balls. Seemingly it’s all fun and games until someone gets hurt. 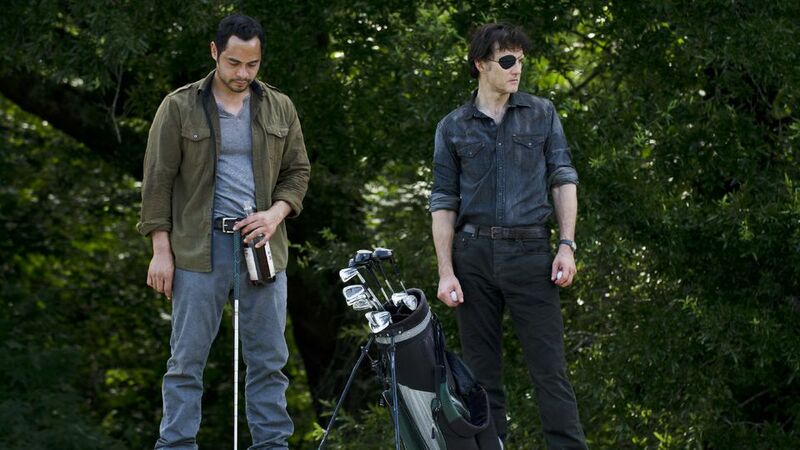 The Governor proceeds to get the golf club and whack Martinez in the head and throws him off the trailer; he then drags his body to the zombie hole and allows him to get eaten alive. Yes that just happened, Martinez my friends is gone. Just when you start to think the Governor has a heart, his hidden agenda comes out more and more. Next, moving on to getting rid of more dead weight, the Governor goes in to talk to Pete who has now sort of assumed the responsibility of being in charge. He is and I mean, very loosely in charge, because he doesn’t know what the hell he is doing. Pete is a softie, not someone like the Governor at all. 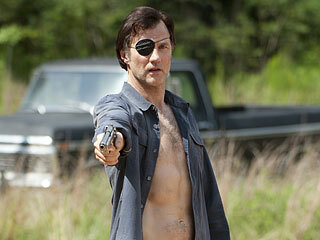 The Governor goes in to talk to Pete and one thing leads to another and ummmm yeah, he kills him. Ok another one gone! He gets Pete and throws him in the lake with a weight attached to his leg. He allows his brother Mitch to live, in hopes of using him to be his next right hand man. At one point, while the little girl is playing in between the camp with Tara, who hands the gun to her newfound lesbian lover, goes off to chase her when all of a sudden a walker appears out of nowhere. The unskilled Tara, tries to pull him off, but she is unsuccessful. Just as the Governor was about to get his groove on with Lilly, he goes out to save the little girl. All in a day’s work! Seriously he did a lot in a few days, saved some people, killed some people, became the new leader, phew I am exhausted just thinking about it all. Towards the end, we see him land upon the prison and see him eye the calmed down, relaxed, smiling Michonne and the toiling farmer Rick in the field. Oh no, the storm is brewing and I am sure the Governor wants in on that prison. It looks like the perfect place for him to create another safe commune, but of course he will need to get rid of Rick and the gang first. 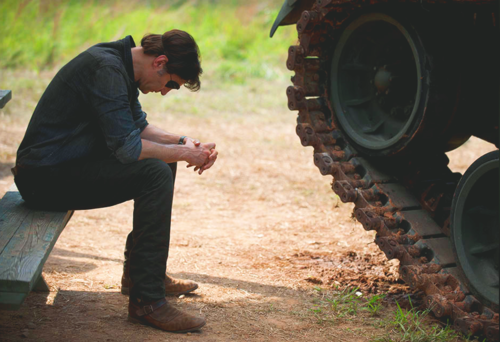 So what the hell is going through the Governor’s mind? I think he wants to take control of that prison as I mentioned, it’s the perfect safe place for his new little family. All I want to know is when is Carol coming back?! What did you guys think of this episode? Was it exciting or are you ready to see more of Rick and his peeps?